The secret to saving thousands of lives could be located inside the humble banana. Researchers in Australia have genetically engineered some of the fruit to provide a boost of nutrients to those in desperate need. If all goes well, the bananas would change the course of our world. Suddenly, that banana bread seems a little more important, doesn't it? The project to create the "super banana" began at the Queensland University of Technology (QUT). 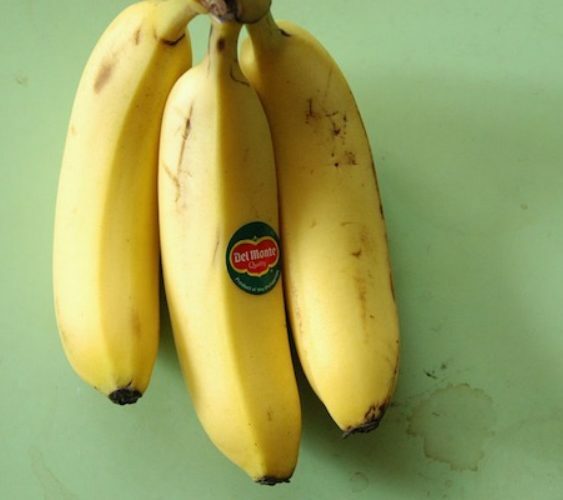 A team of researchers there created bananas with high levels of beta-carotene. That nutrient, once digested by the human body, is converted to vitamin A, which can help with eyesight. A lack of vitamin A, believe it or not, also causes hundreds of thousands of children to die in low income areas every year. "The consequences of vitamin A deficiency are dire with 650,000 to 700,000 children worldwide dying each year and at least another 300,000 going blind,” the project's lead researcher, Professor James Dale, told Time. The problem is especially impactful on children ages three to six. In Uganda, bananas are a main source of food. However, the fruit grown there is low in iron and the all-important vitamin A. The super banana could — theoretically — replace the deficient bananas. “Good science can make a massive difference here by enriching staple crops such as Ugandan bananas with pro-vitamin A and providing poor and subsistence-farming populations with nutritionally rewarding food,” Dale explained to the Associated Press. Now that the bananas have been created, they're being sent to the United States for a six week trial, sponsored by the Bill and Melinda Gates Foundation. The fruit will be given a test run to see how it impacts the nutrient levels in the test subjects. For his part, Dale is confident. "We know our science will work," he told Yahoo. "We made all the constructs, the genes that went into bananas, and put them into bananas here at QUT." If all goes well, Dale says the super fruit will be growing in Uganda as soon as 2020. Then from there, it would be grown in Rwanda, parts of the Democratic Republic of Congo, Kenya and Tanzania. The science behind the idea could even be extended to other fruit, like plantains. The only problem with the super bananas? They look kind of funny. Instead of being a light yellow, almost cream color on the inside, they super bananas are orange. Although when it comes to saving lives, we somehow don't see that being an issue.